Updated August 2015 and covers version 4.0 of Creative Commons licenses. By default, copyright law awards a large number of rights to creators automatically. This can be great! It means that whenever an artist, writer, filmmaker or creator make a creative expression, that expression is automatically copyrighted and the author can control how the work is used. However, “All rights reserved,” can in many cases be overly restrictive; and its rigid, one-size-fits-all application can present some serious problems for creators seeking to encourage collaboration, sharing and remixing. Enter the Creative Commons license suite! The Creative Commons license suite is essentially a set of flexible, pre-written, copyright licenses that provide a simple, standardized way to give the public permission to share and use a creative work – under certain conditions. By empowering authors to choose how their work is used Creative Commons licenses have helped create a vast store of free, publically available knowledge which anyone can contribute to and build off of, without fear of violating copyright or facing litigation. At the same time, artists and creators can more easily than ever share their creative expressions, and CC licenses have enabled countless artists to reach audiences they might not have been able to otherwise. Projects like Wikipedia, Wiki-How and the Public Library of Science (PLOS) are made possible by the spirit of sharing and collaboration at the heart of the Creative Commons licenses, and depend upon CC licenses to operate effectively. At New Media Rights, we work with artists and creators every day who are currently using, or have considered using CC licenses for their work, as well as artists seeking to remix and reuse CC licensed material for their own projects. 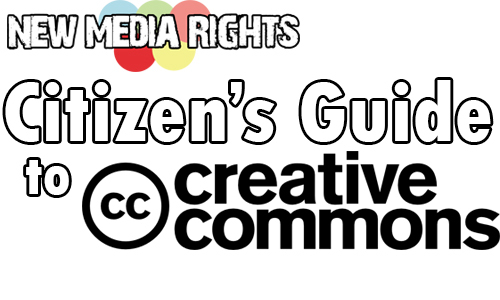 In this Citizen’s Guide to Creative Commons, we’ll walk you through the various Creative Commons licenses, and explain the ways the different elements of a CC license work together. We’ll cover how to properly use and attribute someone else’s CC licensed work, and general best practices regarding CC licenses. 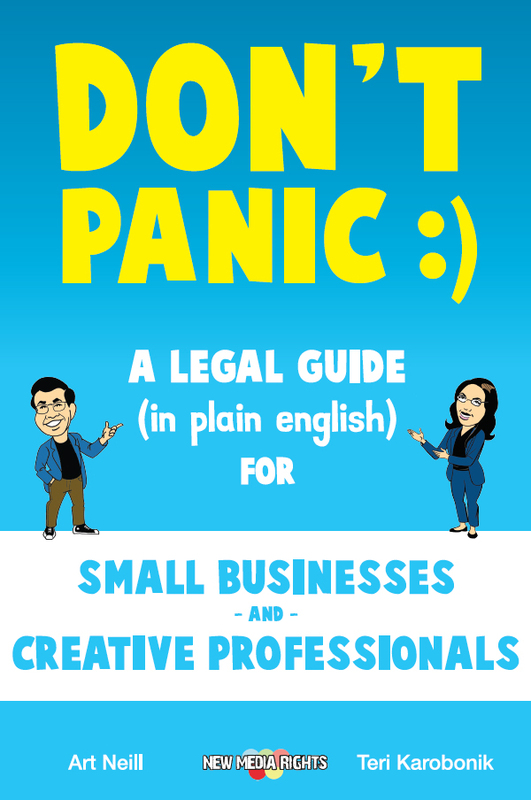 If you have questions about Creative Commons Licensing after reading this guide, feel free to contact New Media Rights via our contact form to find out whether you qualify for free or reduced fee legal services. We also offer competitive full fee legal services on a selective basis. For more information on the services we provide click here. Special thanks to NMR Intern Emory Roane for helping to revise this guide in Summer of 2015.